Here you can find a strain description about Medi Strawberry OG and also some user-based reviews and infos directly from the SeedFinder (if available). You can also find the offers and auctions here if Medi Strawberry OG cannabis seeds are on stock at MyCannapot right now. Medi Strawberry OG ( Strawberry OG x Medi Blue-n-Blond ) While rendering a fruity sweet nutty flavor, this strain Smells more edible than anything we’ve encountered before. Good for cooking and concentrates especially. 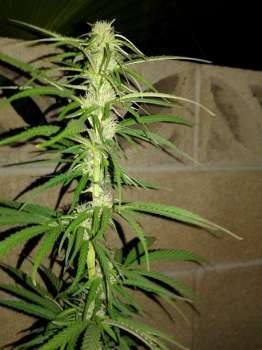 Growing Difficulty: Medium Grow: Outdoor-Indoor Flowering: 70 days - With a Faster Finish in tested plants. Medi Strawberry OG is not available at our shop at the moment!